When it comes to roof leak repairs, Thomas Quality Construction performs the highest standards of roof repair work with a solid reputation of reliability. We offer superior quality materials and expert workmanship to ensure the complete satisfaction of our customers throughout Central Kentucky. 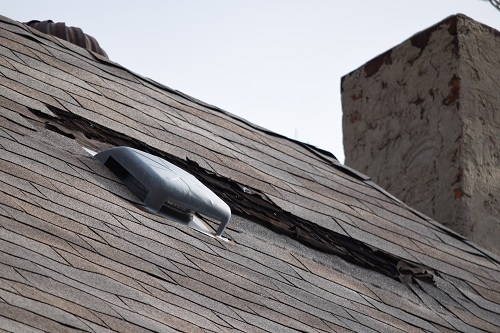 Thomas Quality Construction has found that the most common location for roof leaks is at roof transition points, such as dormers, chimneys, valleys, pipe penetration and roof vents. In many cases, replacing or reinstalling the flashing will fix the leak. Concerned about an unexplained stain on your ceiling? Worried that those missing shingles on your roof might be causing damage to your home? Call the professionals at Thomas Quality Construction for a free roof inspection and estimate for any repairs that might be needed. Diagnosing and repairing all types of roof leaks in a timely and efficient manner is what we do best. Whether it be reflashing your chimney, replacing a leaky pipe boot or replacing damaged roofing, Thomas Quality Construction has the skills needed to quickly and completely solve your problem. Often, the problem is not difficult or costly to repair, as long as it is dealt with quickly. Ignoring your roofing problems is almost certain to lead to higher repair costs, unnecessary worry on your part and additional damages to your home. Storm damage affects more than the roof. It affects the attic as well. Late discovery of roof leaks typically can lead to more costly repair. The good news is that roof leaks and roof problems can sometimes be spotted before expensive repairs are incurred. If you see any signs of a roof leak, it is best to act immediately. Repairs will be easier and cheaper to make if you catch the problem early. So, never ignore a roof leak, no matter how small it may be. In some cases, by the time the signs of a leak become visible, the bulk of the damage may already have been done. The sooner you act, the sooner the problem can be addressed. Preventative maintenance can help you keep away leaks so the problem never even reaches the stage of being able to visibly see water damage. Unnoticed or uncorrected roof leak can also lead to mold. Here’s how mold conditions from roof leaks happens. The rafters and beams in attics act as a berm that channels water to wall cavities, then damage can be noticed. Mold can be difficult to spot because it tends to grow in scarcely lit places where stagnation and warmth persists. It can cause allergies or illnesses in even the healthiest of people. Keep any eye on your roof. Don’t procrastinate when you need repairs. If high speed winds or a hail storm occurs, please call us immediately for your free inspection. Thomas Construction Company is locally owned and operated, licensed and insured and dedicated to providing the best customer service and quality work. If you need roof leak repairs, call the professionals at Thomas Quality Construction.